There are many great birding spots on base, and many easily accessible. So far, over 80 species have been found on base, and it's possible many more exist! Click on each species name to go to their All About Birds page and learn more. Common grackle, great-tailed grackle, western kingbird, eastern kingbird, eastern meadowlark, european starling, american robin, mourning dove, eurasian collared dove, killdeer, american kestrel, red-winged blackbird, baltimore oriole, house finch. 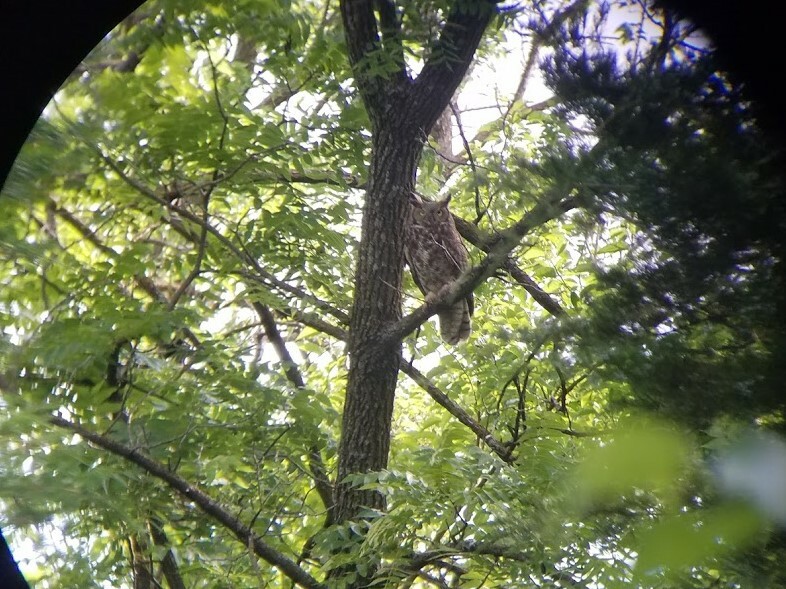 Wilson's snipe, little blue heron, great blue heron, great horned owl, barred owl, upland sandpiper. 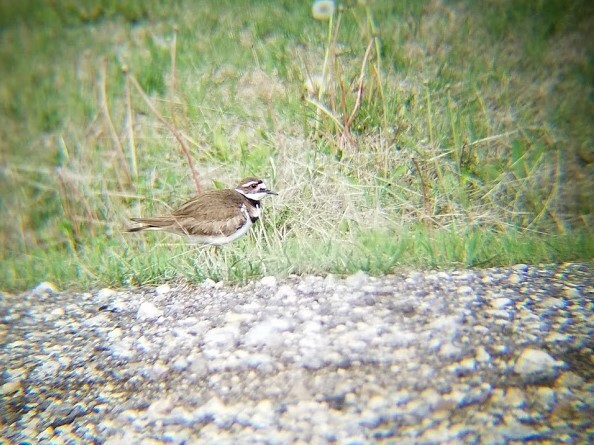 All of these pictures were taken by holding a phone up to a binocular lens - a great way to get a photo for ID! 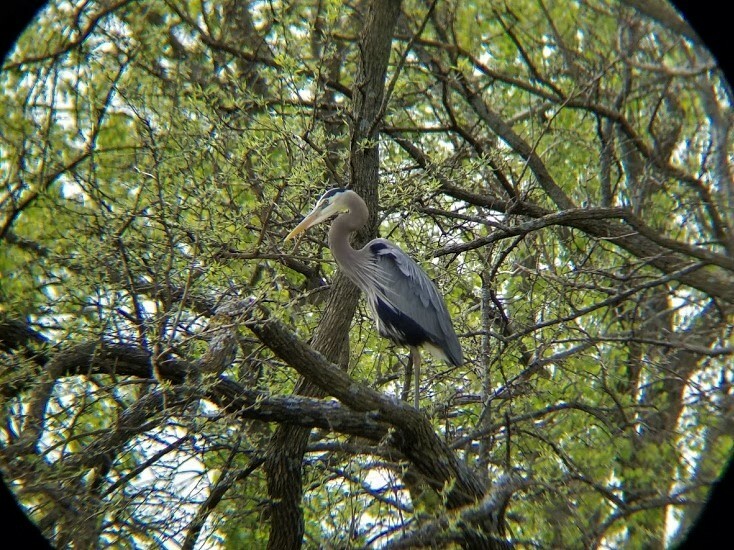 FamCamp - lots of orioles in trees and herons can sometimes be spotted on the shores. Outdoor Recreation - parking lot ringed with trees to the south often has lots of birds. Also check the trees around the nearby pond. Memorial Tree Walk - along Kansas Street and on around Building One. Birds love the trees and fly over the streams to catch insects. 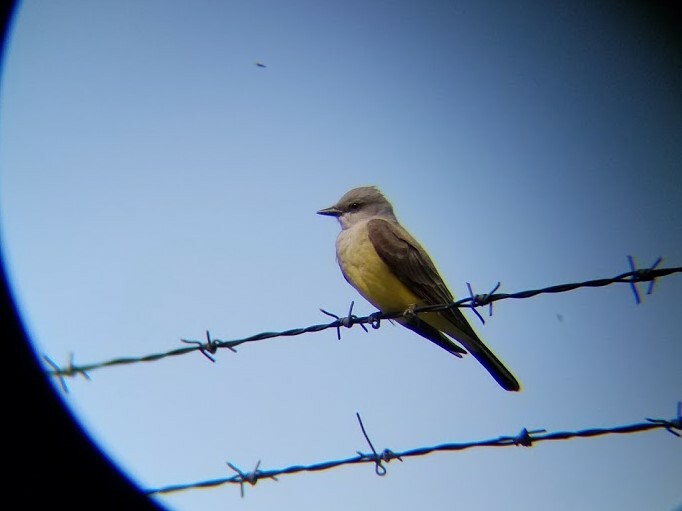 Fences - there are many birds that can go unnoticed on fences around base, in particular kingbirds, merlins, and doves. Binoculars are not neccessary to enjoy birds, but make the experience much more exciting! A magnification of 7-10x is great. Stay still and quiet for at least a couple minutes at each spot. It's amazing what you will see and hear when you focus. Use guides such as allaboutbirds.org and the Merlin ID App to help identify what you see. A lot of birding is auditory, take time to learn some basic songs! Remember: most species have several different song types and calls. 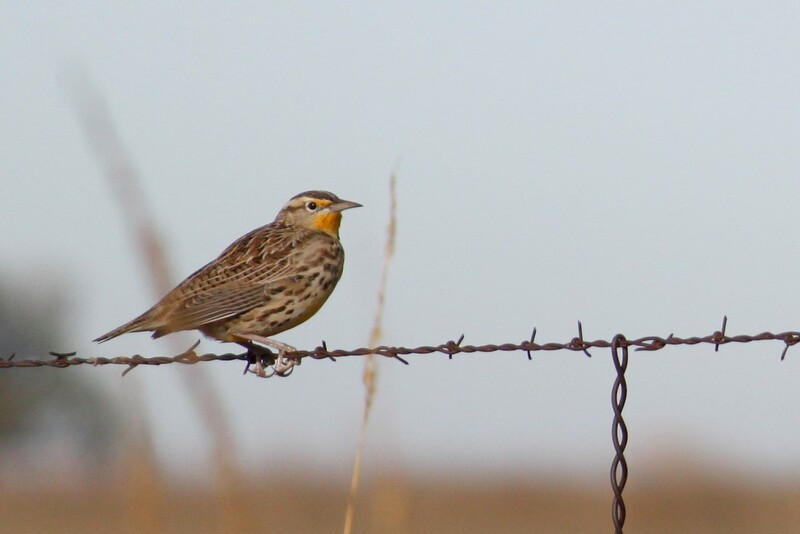 Different birds are in Kansas at different times of the year, so focus on learning who's currently around first. 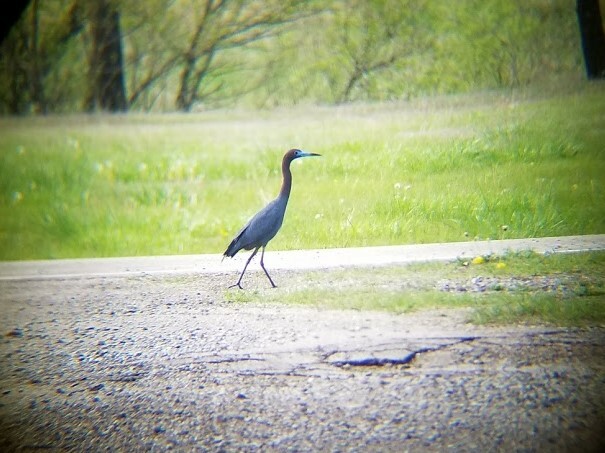 If you find a bird you don't recognize, try to get a picture or record their song and you can post to the Kansas Birding Facebook page or use iNaturalist (a website/app where you can upload any animal or plant and get an ID). 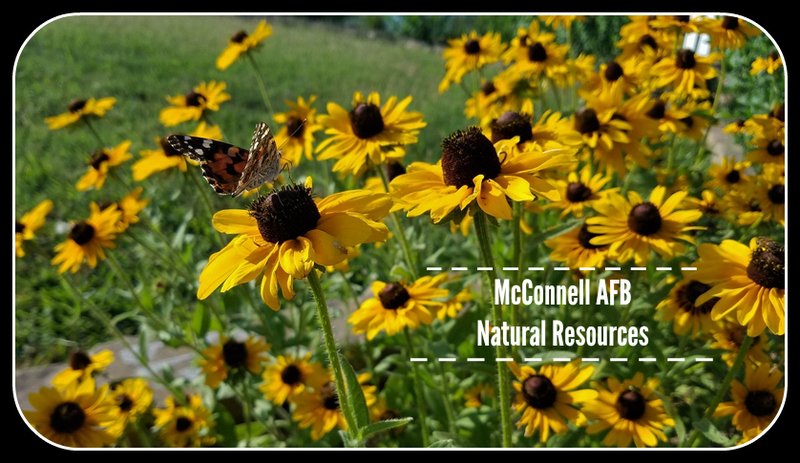 Expand the bird database for McConnell by uploading birding lists to eBird. Have fun, and practice "leave no trace" guidelines! DISCLAIMER: Feeding birds on base is prohibited.